There’s been a high demand for self-published authors to get into bookstores. Here’s a list to get you started. Summary: Let’s start with the longshot. There’s over 100,000 submissions each year, but if you follow their guidelines, it’s worth the chance. 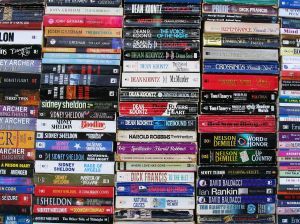 Summary: They love self-published authors, because it gives them a chance to expand their reading list and inventory. Win/Win. Summary: They have their own self-published section. They will send you a check after six months based on books that are sold and you have to make arrangements to get your unsold books back. Summary: They prefer local authors to stop in and drop off a copy of the book for review, but once again, it doesn’t hurt to make a submission. The handling fee is $5.00 and they usually start with 10 copies of your book. Summary: There’s a $30 fee, but at least your book will be in the store. The drawback is that they prefer local authors. So if you live in the Denver, CO area, you will have more of chance than if you live somewhere else. Summary: You must live within 60 miles of Chico, California. They take all authors in the area on their consignment policy. Consignment checks are written every two months. If you can make a good case why your book will sell in the area, give it a try. I hope that helps. If I find more bookstores, I’ll post them here! Been trying to get books into Saturn Bookstore for years. Not nearly as easy as you would have people believe. That’s good to know. Thank you Rebecka. Rebecca and Ron, we do have a hanging fee, but basically all you have to do is stop in for or download our consignment form and get us your books and the initial fee and your books are ‘in’…if you are having any problems, pkease just contact OUR Rebecca – she will be glad to help! That would be ‘handling’ and ‘please’ – thanks, iPhone! Thanks for the update Jill. I appreciate all of your help. The link for the White Glove marketing didn’t work. But thanks for the other information. Thanks Mitzi. I will look into it.